If you have chosen the lovely Sarigerme for its small-place charm and allure, and you want to have a day out with your family, then Sarigerme Dalyan Tour is just the perfect offer for you. 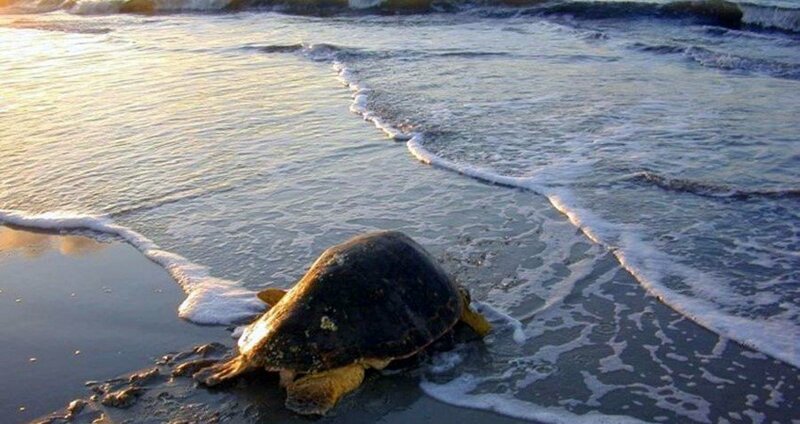 Our offer regards one of the most popular excursions in Turkey – Dalyan and Turtle Beach. The famous Dalyan village is located between Marmaris and Fethiye, and it is one of the go-to places for tourists from around the world. This marvelous village is eco-friendly and rich with impressive natural beauty. The Turtle Beach here is famous for its fine sand and warm, emerald waters. 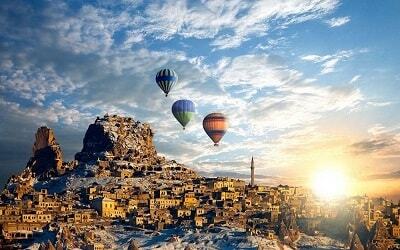 Sarigerme Dalyan Tour starts with a pick-up from your hotel, followed by a comfortable drive to Dalyan. 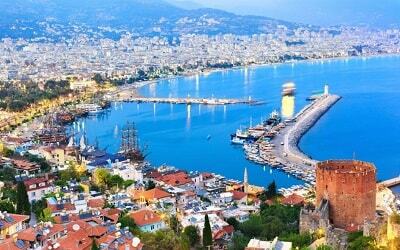 From there, the trip will continue by a river boat, and you will get to feast your eyes on the gorgeous banks of Iztuzu River. 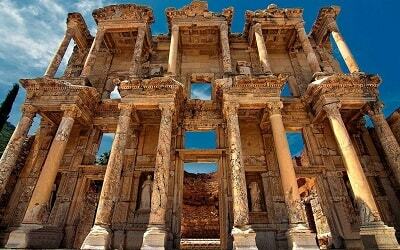 Once we reach the Delta you will get to see the impressive Lycian Rock Tombs. 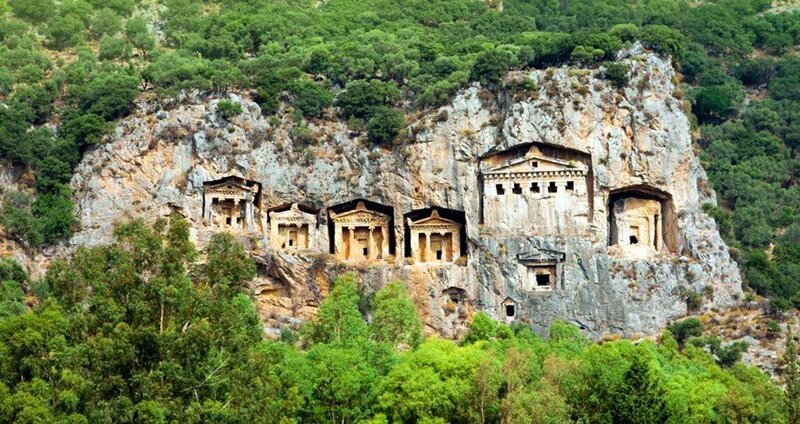 According to the legend, these stunning tombs were carved into the rocks on the side of the mountain, in order to help the ancient angels reach the dead. 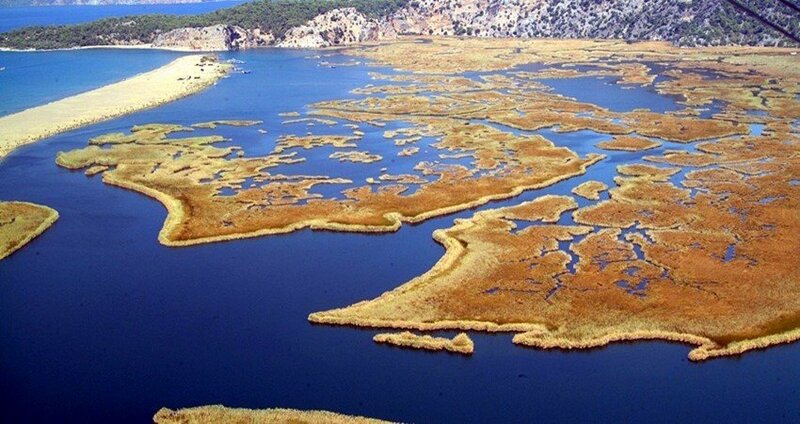 However, the most famous feature of Dalyan is its Mud Bath. 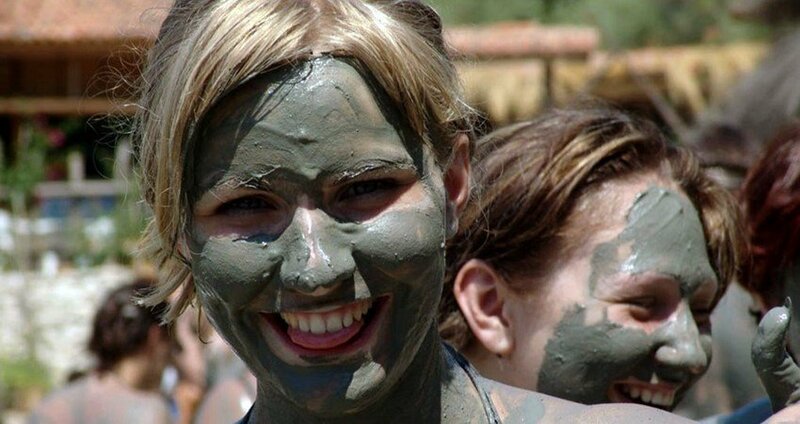 The mud is considered to have numerous medicinal benefits for the skin because of its nutrients. It is considered to help with arthritis, rheumatic diseases, eczema and numerous other conditions. Swimming in Mud pools of Dalyan is an enjoyable and fun experience all together. Once you’re done bathing, you can use the fresh water showers to clean the bud and freshen up. 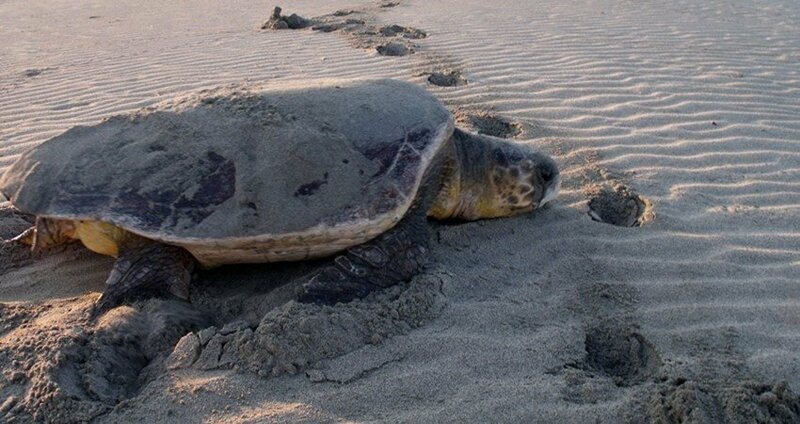 Afterwards, we will visit the famous Iztuzu beach, which is the breeding place of the protected Loggerhead turtles. The beach itself is 4,5 kilometers long, and it creates a natural fence between the Mediterranean sea and the fresh water delta. This lovely tour also includes services of a licensed, English-speaking guide, who will answer any question or concerns you might have about the excursion. The guide will also give you numerous interesting information about the destinations you will be visiting, such as folklore tales about the Tombs, or some entertaining data about the Loggerhead turtles. All in all, if you have decided to take this magical trip with us, you are up for a treat! 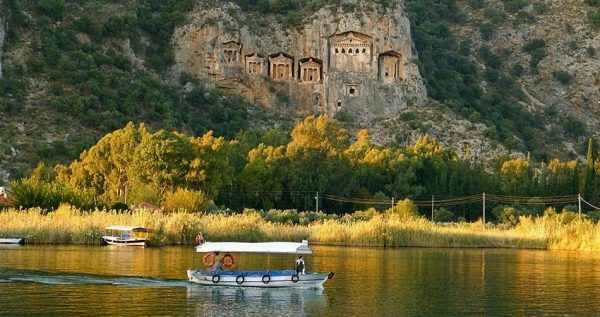 Book Sarigerme Dalyan Tour with us and a full day of relaxation and fun awaits you! Our exciting Sarigerme Dalyan Tour is family friendly. 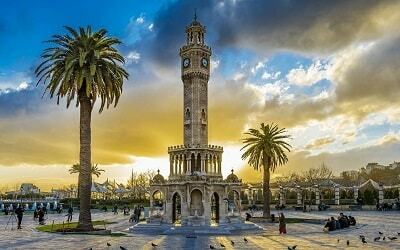 On the tour day, our driver will be waiting for you in front of your hotels at 09:00. 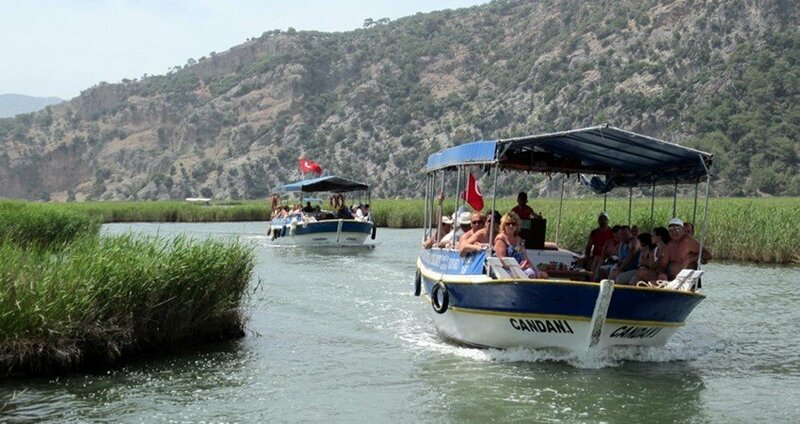 You will be at the Dalyan after a short drive of 30 minutes. Once we reach the Dalyan, we will board the charming river boats and start our tour across the beautiful Koycegiz Lake. The lengthy of this remarkable lake is a delightful experience on its own. 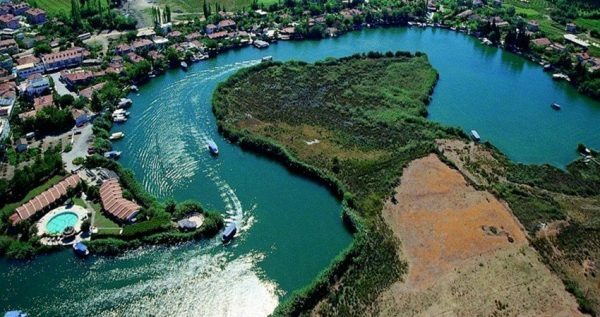 The lake itself is a powerful sight, as it is created by gathering flows of several rivers and smaller mountain streams, and later flows into the great Dalyan river. At its delta with Dalyan River, Koycegiz creates numerous rejuvenating baths and hot springs, known for their high-quality mineral mud and pleasant thermal springs. You will get to test these mud baths by yourself and enjoy some fun dips and swims in the warm mud pools. The place is also equipped with fresh-water showers, so you can clean yourself afterwards, and freshen up. If you have opted for our boat trip option, you will get to have open buffet lunch in a cute restaurant, while our guide tells you something about the scenery around you. After that point we will be taking a break near the ancient Rock Tombs of Caunos. These impressive tombs are said to be built high up into the mountain, so that the angels could reach the dead easily. After having information about the tombs, we will get to see the gorgeous Turtle beach, and take a swim nearby. It is a gorgeous stretch of beach about 4,5 kilometers long. It is naturally set so that it creates a barricade between the salt waters of Mediterranean, and fresh waters of Dalyan river. This famous beach is the breeding place of the protected species of Loggerhead turtles. Maybe some of you will even get to see a Loggerhead turtle up close if it swims near enough. Once our refreshing visit to the Turtle Beach is over, we will head back. We are expected to arrive back to Sarigerme at approximately 18.00.